Today we’re giving all guests a gift – and all you need to do to get yours is opt in now.Simply head to ‘My Promotions’ to receive your prize card, give it a click and find out if you’ve won Free Spins, a bonus or even $100 cash.Every prize card is a guaranteed winner, but you’ll need to be quick – in 24 hours they’ll all be gone! 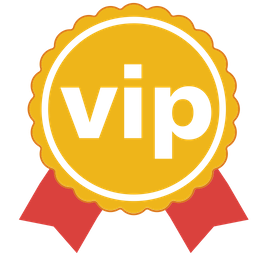 •You must opt in from ‘My Promotions’ to receive a prize card. •You may claim this offer only once during the promotion period. •Free Spins and bonuses are subject to wagering requirements. •All other prizes are paid in cash and have no wagering requirements attached. •Further terms and conditions apply. 11aha11 i hope the players from The BankrollMob have seen this post done by you and have been able to take advantage of this promotion with a guaranteed prize. Party Poker begins to become a rewarding poker room and the players will multiply to play at their tables. Good job Party Poker. I didnt have this promotion also,but it was today,so cant guarantee that wasnt yesterday!but probably as StheP say,all countries from region dont have this promotion!soon will be new or something like christmas calendar! Thank you fellow mobber and forum poster 11aha11 for this wonderful tip, unfortunately I am really not able to see it, thus I must come to the conclusion that my country of residence is not eligible to this great offer, however keep us informing whenever you get a new tip. There can be always a mobster who is able to use this splendid offer, I wish you the best in the tables! Thanks, 11aha11, for the information. I didn't see the promotion you referred to yesterday. I can locate "My Promotions" page in PartyCasino client, but I still can't find the promotion. I guess it is already over or players residing in Japan are not eligible for it. I see from the first post that this promotion needs to be claimed during the period that is on. And from what i reading it says, it is for 24 hours only. Too short for a promotion if that is the case. It doesnt give the players the time to find out and request it. 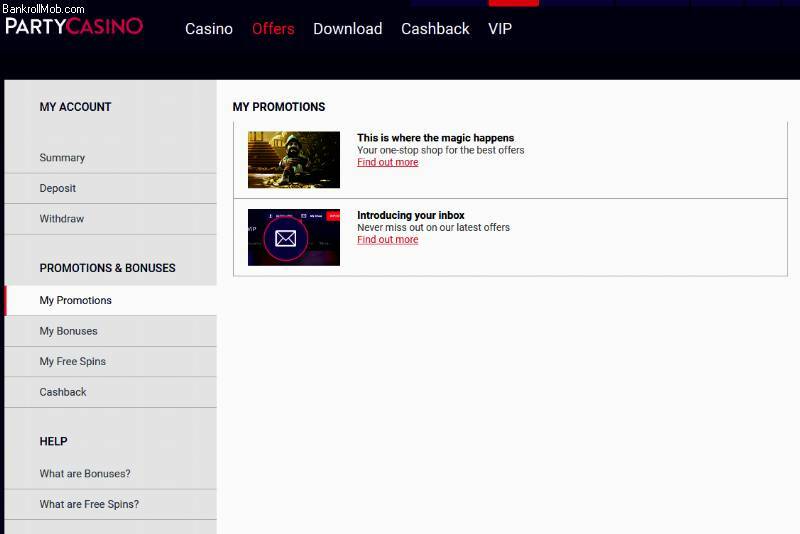 well this is probably another of those promotions by party poker which is either region tied or maybe even tailored to specific clients, who in example didn't log in for some time or stopped using one product or another etc. still nice to see an update from a mobbit with the intention on spreading good news to others. StheP the promotion was only for one day but I do not think it was eligible for all countries. As we know most poker rooms and casinos when make promotions or bonuses do not make universal. They make restricted and arranges them after a certain criterion. Probably after the amounts of money handled by those countries. its not important that we missed this promotion or that we didnt even had it!its important that they give christmas calendar or free cards every day and for all players and this will be enough!hope that they want dissapoint us this year! I had clickard only on last Sunday ,got free spins on some bad slot. I too try to see if this promotion is offer to my country, because I read that a lot of people do not see this promotion, so i can say too that for my country this promotion is not exist. So really not good, but maybe in future there is more and better promotions to players from my country too. I read somewhere about that Party Poker announces for 2018 LIVE Schedule with 100 Millions dollars prizes guaranteed. Very good news for players who have the right to play there is Huge Schedule for Next Year. I think the most disturbed will be rivals Pokerstars and 888 poker. There will be another good promotion there soon. Half way through november now. They must be preparing offers t=for the end of the year. I don´t checked yesterday the "My Promotions" area at the Party site, because after they cancelled the Helloween promotion they have no intersting promtions. But it seems, they bring back the Wednesday clickcard promotion time by time.